I love historical fiction set in the early 20th century. I also love pretty much everything to do with spies. (There’s a section dedicated to it on my bookshelf and I’m a not-so-secret fan of the Mission Impossible franchise). So when the two come together into one novel where the plot isn’t completely overshadowed by the male love interest, I can’t resist. 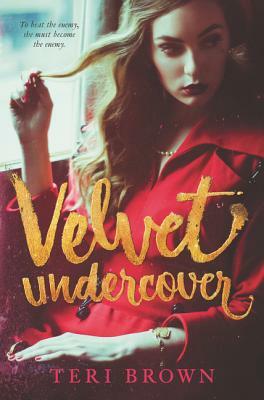 Velvet Undercover hit all the high points of an espionage thriller novel, such as a fight scene, murder, betrayal, surprise discoveries, and an effort to save the mission against all odds. However, there was some uneven pacing, which made several events that were supposed to be exciting feel rushed. Velvet Undercover is a fun read! Next Next post: Into The Dim: Absolutely Amazing!